This is a very emotive subject and it seem to creep into almost every posting to some degree. Michal is one of the staunch supporters of originality and to a certain degree I agree with him, if I owned an original matra (any model) I would strive wherever possible to keep the car original but (and this is a very big but) lots of the cars we buy have been poorly maintained and maybe had several owners who were unsympathetic to the cars. We take these cars on as projects knowing that to rebuild them as original would cost many times the eventual value. 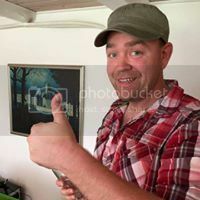 Therefore the temptation is always to look for better and cheaper ways of recreating a dream and altering some of the little thing we don't like, after all there will always be people like Michal to preserve the history. Is it not better that these marginal cars are saved in one form or another rather than to be consigned to the parts bin. Its all about balance. If you have a good one keep it that way. If you have a bit of a basket case then it will almost never be as good as a well cared for original and even if you managed to bring it up to concours standard how much of the original car would be left. So why not take the oportunity to carry out a bit of evolution. I basically have started with a reasonable chassis. Every panel needs repair and paint and both bumpers are badly damaged. It is on its third colour and the interior is a disaster zone. On the plus side, the engine was rebuilt not that long ago to 142 spec, it has s/steel water pipes, aero brake hoses and a s/steel exhaust, all signs that it was well looked after mechanically. I even have a brand new Weber carburator on a manifold if I choose to swap it for the Delortos. As far as the interior is concerned I will be replacing most of it so I don't see any reason not to make any improvements that I can afford. This will probably mean leather on the seats and new headlinging - maybe alcantara if I can stop the sunroof from leaking. I hate the vinyl door pockets so they will be going too. The three seat layout will however be staying as it is what make murenas and Bagheeras unique. Externally the bumpers are both badly cracked so if the fibreglass is coming out any way I see no reason to re-use the tatty rubber trims and the join lines will be smoothed out. I do not wish anyone following me to see the silencer box hanging down below the rear valance so I will be extending it by a couple of inches. Equally the sides should cover a bit more of the tyres (even with 195s) so a small adjustment will be needed there as I intend to use slightly wider tyres - nothing outrageous, probably 195s on the front and 215s on the rear. In my opinion this is all as acceptable as trying to pretend I have a "minter". If I eventually end up having to replace the drivetrain then so be it. Clearly, neither ancient Simca units were Matra's choice. What I won't be doing is trying to build a Ferrari look-a-like! Yes, it is a subject with a lot of emotions. It's a big project you have, Lewisman, and you should do what you feel is right. Nobody is in their right to tell you what to do. 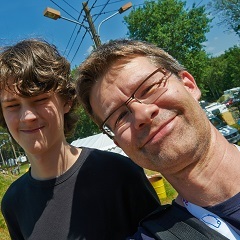 That said, however, preserving history can also be fun, especially when we have a car here that is really engineered well. Murena is a classic now, not a modern car. 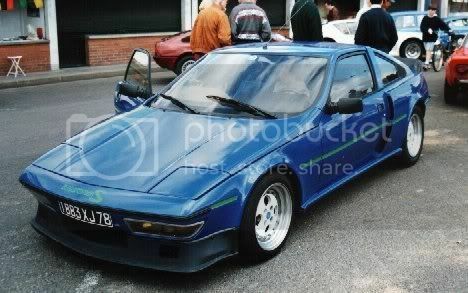 Compare it with a Toyota MR2 and you will notice that it is just different. MR2 still looks modern, and while the lines of the Murena aren't old fashioned (like a Triumph TR4), Murena has more class than an MR2. Not because it looks better, but it has more personality. I have come to like the black rubber trims on the front bumper as they are part of the class. I'm not sure I understand why the designer put all that rubber there, but I am certain that it was not something he did "by accident". It was a conscious decision. Take a Rolls Royce. Is it a pretty car? Is it nice? Not really, not even the new ones. They have too many edges and simply look both too heavy and overdone. But they are Rolls Royce's and you can recognise them by a long distance. Same goes with Murena. "The front lip should really be deeper, what are these rubber things doing, it looks stunning that this angle, but from this..." You can go on with it forever: It has personality. Bagheera too, but it has a lot of 1970's style, and it's personality is mostly out of that and quite different to the Murena. The Bagheera is a charming little car, Murena is not really "charming", but it has something else. The 1980's was a strange period of time, and the Murena is really a child of that century. Remember fashions? I do, and I'm glad it's over It was also the century where the Internet was born, the cold war ended (yet was at its highest), the century of the yuppies (today we all are!) etc. It was a very strange time, and the Murena was born out of that period. I like the Murena original design, and we will never see anything like it again. It's unique. But, that's only my point of view. But they are Rolls Royce's and you can recognise them by a long distance. Well.. yes... you can.. if you know what to look for.. but most people have no clue about what car it is ...and that is part of the murenas (and most other matras really) appeal as well ... they are rare..
levisman: there are improvements and improvements. 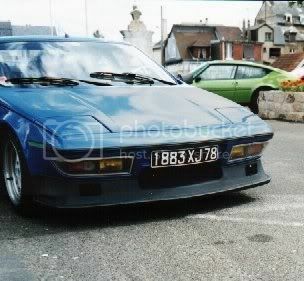 Those what You wrote in this topic are acceptable for me too, but I wasn't criticising Your project, I only was criticizing that blue Murena (exactly ugly was the front bumper, wheels and rear side windows), which You inputed - but I know that only for showing us the blue colour - is it right? I'm "fighting" against people who are building "Ferrari looked" Murenas with two Recaro front seats and dissected door panels with huge speakers... These cars loses their personality, they aren't Murenas for more, they are lost for the future. How hard will be to put them into the original condition is unimaginable. You know that my Murena was a trash, when I bought it, but true is, that it was complete and original. I like every detail on this car, I can be sitting hours and hours (as today ) and just looking at it from all sides. My biggest dream is to be born in 50ties or 60ties and have the chance to see brand new Murena and Tagora. So I am trying to move my Murena to the point which is as close as possible to the condition of brand new car. Your quest to make your murena as good as it was when it came out of the factory is admirable. If it was mine and I achieved that condition I would be scared to drive it! As far as wheels are concerned, the ones on the blue car do not suit the car but at the end of the day they are only wheels and can easily be changed. The original wheels are good but leave the car on old technology in terms of tyr performance. I suspect the ideal would be slighty larger diameter wheels at the back rather than different profile tyres. 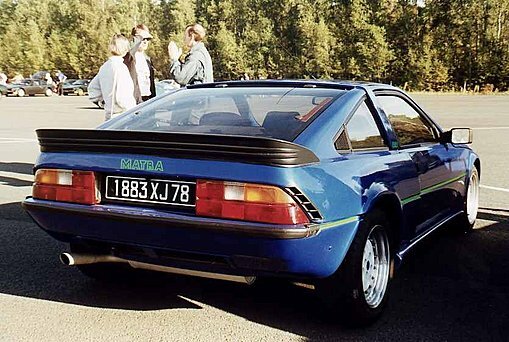 Matra couldn't afford to do that as the murena was already too expensive in the 80s and without a performance engine it was stuck between the X1/9 and Beta Monte Carlo and low end TVRs in terms of cost vs performance. I would hate to do anything to mine that stopped it being a "murena" so my goal is more a murena series2 (or maybe 1.25!) type of development. Sorry but I find that to be hideous. I'm with Lewisman on this one.........undeniably... VERY 80'ies ..... but in a VERY un-nice way! Yes, I'm in agreement with Lewisman and Krede, it looks worse than a ferrari copy (if that's possible). Of course it is an historically important car so I hope whoever owns it now keeps it original. This is very big true, impossible to say it better! To be honest I think comparing the Beltoise Murena with a Ferrari styling makes very little sense. First, the Beltoise Murena (whether you like it or not) was an original design done by people who was working with Matra on racing and tuning the Murena. Second, this was an original evolution of the Murena design and not in any way a pretentious attempt to imitate something else. But I agree that it isn't a beauty. I think, however, that in full race dressing it would be quite a remarkable car on the track, and true to the design elements of its production variant. But what do you think of the 4S, then? It looks good from that angle Anders, how about a photo of the front. 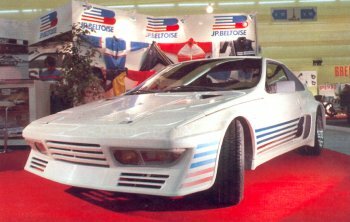 the Beltoise Murena (whether you like it or not) was an original design done by people who was working with Matra on racing and tuning the Murena. Thats a fair comment and I'm sure I would be more impressed by the modifications under the skin.